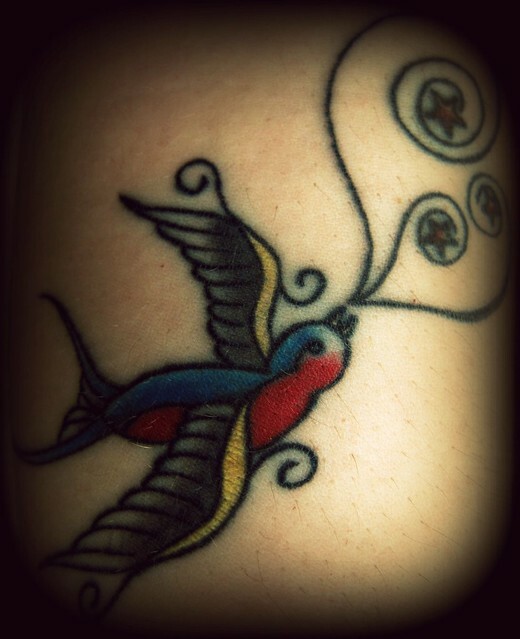 I don’t think I have any other photos of that tattoo, despite it being 15+ years old. 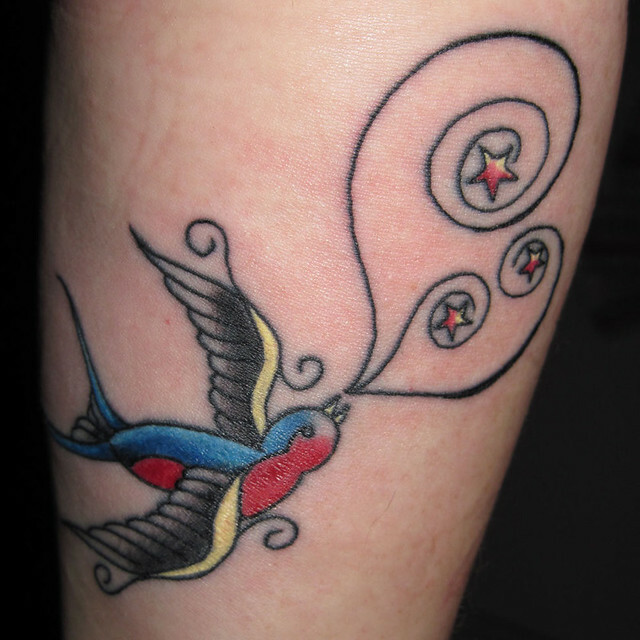 It’s hard to photograph, since it goes all the way around my ankle. 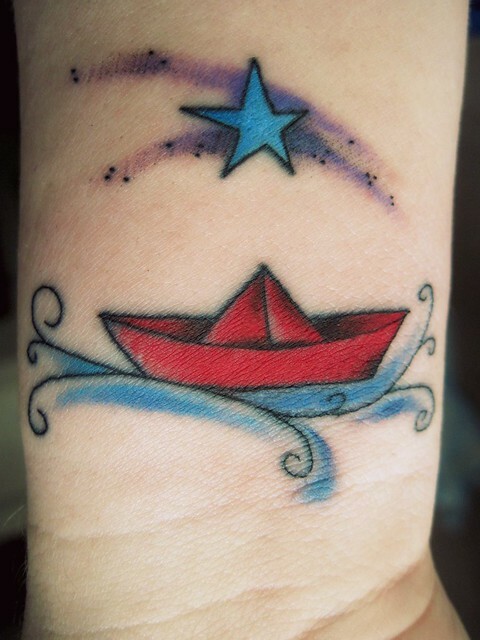 I’ve made so many paper boats that I decided it was time to make a permanent one. The guy who did it suggested making the static star into a shooting star, and I really like how it turned out. One of my coworkers was cataloging a book for the fine arts library when I stopped by her desk to talk. I flipped through the book quickly, to look at the pictures (I work with boring government documents, so I rarely get to play with fun books). 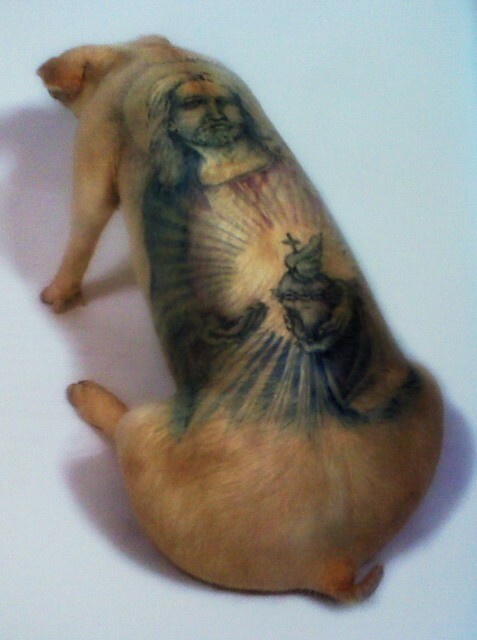 There were several photos of tattooed, taxidermied pigs. WTF?! The text was all in French, which I don’t speak, so I don’t know what the artist had to say about his work. The images were both creepy and amazing, though. Seriously, who the hell tattoos a dead pig?! WITH THE SACRED HEART OF JESUS?!!! I can’t believe it’s been two months. It seems much longer ago than that. The guy who did it asked if he could change my drawing a little bit (original here), and I really like what he did with it. It’s a perfect blend of traditional and whimsical.